Belize is located on the eastern Caribbean coast of northern Central America. It is bordered by Mexico to the north, Guatemala to the west and Honduras to the south. It is a relatively small country with 8,867 square miles and a population of about 320,000 people. It is smaller than the State of New Hampshire. Much of the country is unpopulated forest. It has a well-preserved environment and the world's second longest barrier reef and the longest coral reef in the western Hemisphere (184 miles long) running along the offshore islands or Cayes. The climate is subtropical with basically two seasons: the rainy season and the dry season. Due to large difference between the beaches along the coastline and the mountain forests, the temperatures and the rainfall vary greatly. In the early times the area of Belize was part of the Mayan empire. During the mid 1600's the first British settlements were established. In the mid 1700's Spain gave the English settlers the right to cut logwood, but the Spanish retained their claim of sovereignty over Belize. From then till the mid 1800's numerous battles, skirmishes as well as treaties occurred between the Spanish and the English settlers until finally in 1862 the English settlers won and the settlement was given the colonial status as British Honduras. In 1964 British Honduras became a self governing British Colony and in 1973 they changed the name of the country to Belize. 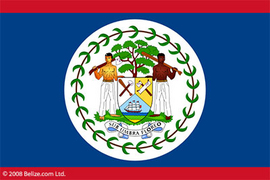 On September 21,1981 Belize became an independent member of the Commonwealth. Belizeans celebrate their Independence Day on September 21. Belize is a nation of migrants with various cultures and backgrounds who, through the centuries, have been blending and bonding together. 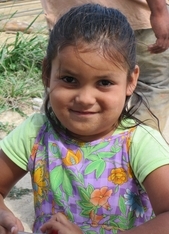 Currently the largest ethnic group of Belize is the Mestizos (Maya/Spanish) with 34% of the population, followed by the Creole (25%) - Latinos (15%) - Maya (11%) - European /Indian/Chinese (9%) and Garifuna (6%). 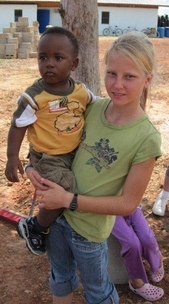 During the last 60 years quite a few Mennonites have also settled in Belize. They emigrated in the 1950's and established themselves in the agricultural areas of Orange Walk and Cayo districts. They are avid farmers, very enterprising, industrious and productive, want to be left alone and keep to themselves. After all their wanderings throughout the last century - from Holland to Germany to England to Canada and to Mexico - some of them have finally settled in Belize and find the country appreciative and good to them and in return the Mennonites are very good for the country of Belize. The religion of Belizeans is predominantly Christian with about half Roman Catholic, one quarter Protestant and the rest practicng other beliefs or none at all. Although the official language is English and is taught in the entire school system, Spanish is spoken by about 46%, Creole 32%, Garifuna 3.5%. You will find that a large population easily speaks the two main languages and often a third native dialect as well. The small private enterprise economy is based primarily on agriculture including agro-based industries, forestry and fishing. Sugar, banana and citrus are the main crops. Tourism is now the largest foreign currency earner. Protecting the natural and historical environment will be critical to the sustainability of Belize's tourism industry. Just look at the ancient Mayan empire which began to collapse around AD 900 and left one of the richest cultural and archaeological legacies in the world. Evidence of the Maya is everywhere in Belize, from the temples of Lamanai to the caves of Actun Tunichil Muknal. The Belizean currency is not valued nor accepted anywhere outside of the borders of Belize. You cannot cash in your left over Belizean dollars outside of the borders and you cannot purchase any Belizean currency outside of the country either. The Belizean dollar is tied to the value of the U.S. dollar. The exchange rate is two BZ dollars to one U.S. dollar. Any leftover Belizean currency may as well be spent at the airport or converted to U.S. dollars since it will have no value outside of the borders. You can use your U.S. currency at most stores and resorts in Belize. The Senate with 12 members and the House of Representatives with 31 seats. General elections are held every five years. The location of our farm is not far from the village of Hopkins, a small Garifuna fishing and farming village along the eastern coastline in the southcentral part of the country. 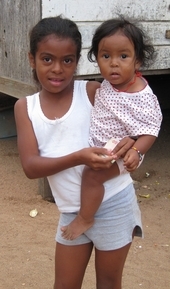 The village offers Belizean culture at its best. Friendly people and inviting places to explore. There are numerous local vacation cabanas and lots of small restaurants where you can enjoy the local cuisine. In the past 10 years several resorts and luxury vacation homes have been built and are offering exotic vacations and guided trips to close-by adventures. Our farm's location is centrally situated for exploring the many places that offer a variety of sights and experiences and it has excellent access to the rainforest and to the Caribbean Sea. We are only a day trip away from the Mayan ruins, caves, jungle rivers, birding, horseback riding, rainforest trekking, snorkeling, scuba diving, fishing, local culture and much, much more. 15 miles to the town of Dangriga , the hometown and cultural center of the Garifuna's. It has a population of 10,000 and small airstrip served by two commuter airlines. What more do we need to tell you? Visit Belize and experience for yourself the beautiful nature, the intriguing history of its people, the awesome underwater world of exotic fish and coral growth while snorkeling and diving. But best of all meet and visit with the friendly and interesting Belizeans and sample their exotic cuisine.